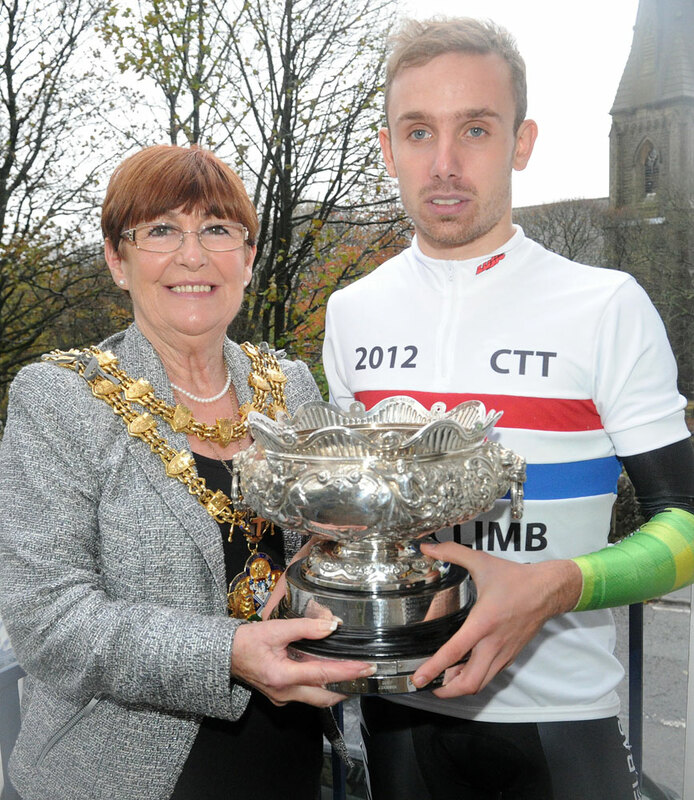 Unbeaten in the build up to the final championship of the time trial season, Jack Pullar (Wheelbase.co.uk-MGD) underlined his good form by taking the RTTC hill climb title at the first attempt with a storming ride on The Rake at Ramsbottom, Lancashire. Riding into a headwind on wet roads, the 22-year-old completed the short, steep 947-yard ascent in 2 min 21.3 sec to push defending champion Gunnar Gronlund (RST Racing Team) – starting ten minutes later – into second place by almost five seconds. Gronlund, who finished in 2-26.0, was exactly three seconds clear of 2008 champion Matt Clinton (MikeVaughan.co.uk), who secured a podium place for the sixth successive year but was pressed all the way by Lee Baldwin (Buxton CC), fourth in 2-29.5. 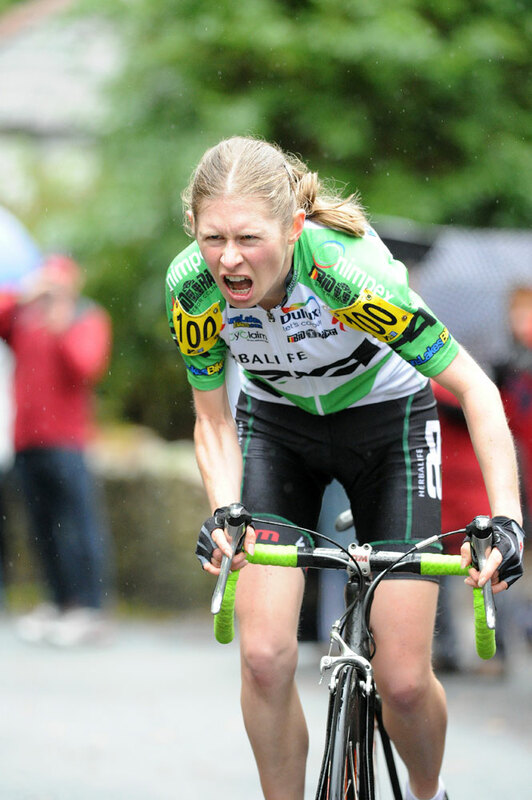 “It’s great to have the title and I’m chuffed to bits,” said Pullar, from Bolton Le Sands, near Carnforth, who had beaten Gronlund in the Monsal and Bec events earlier in the short hill climb season and won on The Rake last year. “I was quite nervous going into it – mainly because all my friends were watching and were wearing t-shirts with pictures of me! – and anything can happen on the day. “I was tired when the CDNW Crit League finished at the end of August and haven’t done much since, but short climbs are all about natural ability and I gave it more than everything today. 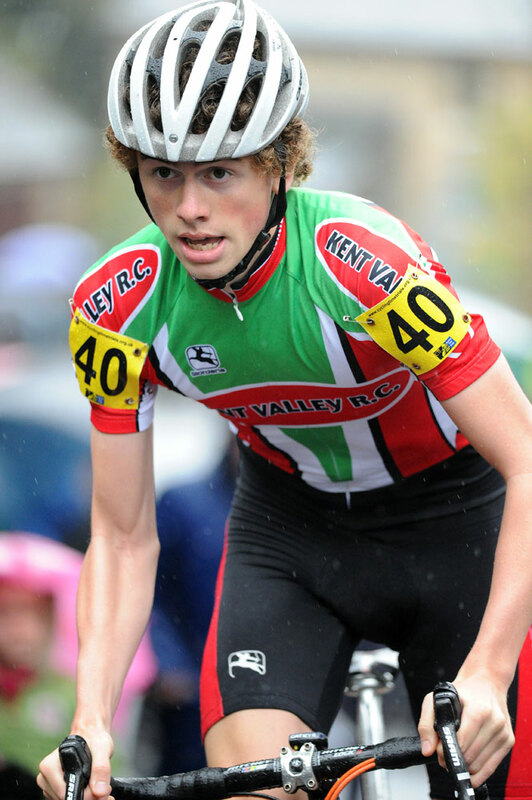 Best junior was 16-year-old James Knox (Kent Valley RC), a creditable ninth overall in 2-40.4, while Lynn Hamel (Herbalife-Leisure Lakes Bikes) retained her women’s title in 3-08.9. 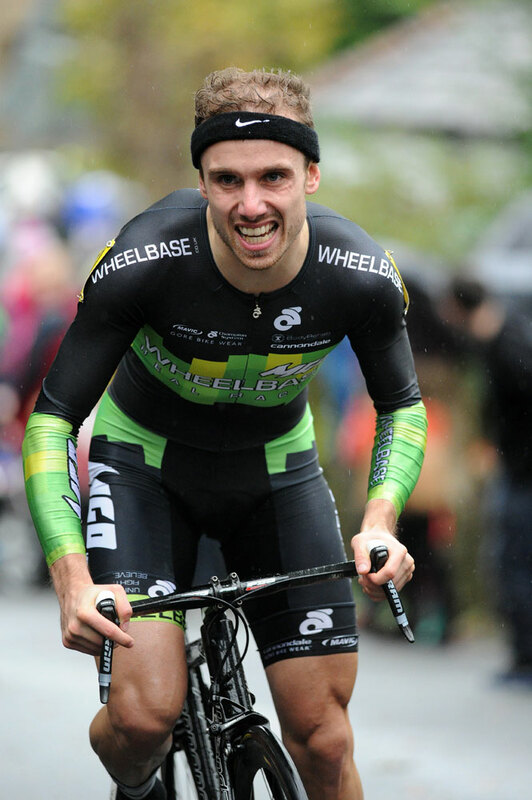 Silver medallist in the road race, Jake Hales (Bedford) moved up to gold in the British Universities and Colleges Sport Hill Climb Championship in Derbyshire. The 22-year-old, from Newport Pagnell, defied a headwind on the 1,796-yard Curbar Gap climb to finish in 5-42.7 for a winning margin of 5.6 seconds over Glasgow’s David Griffiths. Third in 5-49.0, Thomas Stewart led Sheffield to the team title, while Loughborough took the women’s honours with an individual one-two for Molly Weaver, 7-17.3, and Elli Thorogood, 7-42.3. Adam Topham (High Wycombe CC) completed a successful season by winning Brighton Mitre CC’s 25-mile curtain closer on the G25/93 course at Steyning, clocking 53-58 for a margin of 35 seconds over Conall Yates (In-Gear Quickvit Trainsharp RT).